The road to rap stardom used to be long -- real long. Rappers could spend years hustling on small stages before finally getting a chance to shine, and if by some chance one DID experience their big break, sometimes the highest they'd get on the industry ladder would be with a single guest verse on a new hot song. So it’s interesting that in this era of the overnight sensation machine, that the old-fashioned way to stardom has actually paid off for rapper 2 Chainz and made him the bona fide hip-hop star he is today. Watch videos featuring 2 Chainz after the jump. The 35-year-old Atlanta rapper has nearly 15 years in the game under his YSL belt. Starting out under the rap name Tity Boi (a childhood nickname given to him because he was an only child and a mama's boy) in the late '90s, Tity and his partner-in-rhyme, Dolla Boy, released the independent album Playaz Circle, which caught the attention of local radio DJ and rapper on the quick rise Ludacris. Playaz Circle would get around to releasing a couple of pretty great, but slept-on albums through Luda's label Disturbing Tha Peace (the high point being 2007’s street-hit "Duffle Bag Boy". 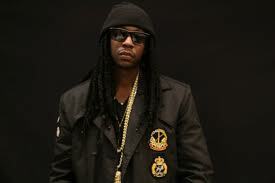 Since then, 2 Chainz as a solo artist has put out numerous mixtapes, culminating with 2011's T.R.U. REALigion, which played a major role in the rapper's mainstream success. It's also pretty hard to forget a guy with such a major penchant for acronyms: T.R.U. (The Real University) and PLAYAZ, as in Playaz Circle (Preparing Legal Assets for Years from A to Z) -- yeah, IDK either. Since releasing T.R.U. 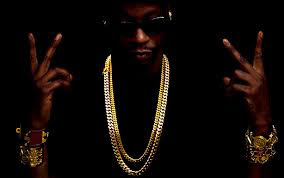 REALigion last year, it’s been all 2 Chainz, all the time. Having done high-profile features with the likes of Nicki Minaj, Kanye West, and Justin Bieber, lately it's felt like it's not going to be a hit unless 2 Chainz was on it. In fact, over Labor Day weekend at Jay-Z's Made In America Festival, 2 Chainz performed "Mercy" as an encore at Jigga's headlining set with Kanye and G.O.O.D. Music. And the next day, 2 Chainz joined Drake during his set to perform the lead single off of his #1 album Based On A T.R.U. Story, "No Lie." You might think that with his album finally released and sitting comfortably on top of the charts, 2 Chainz might want to take a short breather, but just four short days after Made In America, he was right back on stage with Lil Wayne performing "Yuck" and "No Worries" at the 2012 MTV Video Music Awards.